Manly legend Brett Stewart has questioned the validity of the NRL's no fault policy, saying the game is ignoring player welfare by standing down players who should be seen as innocent before they're proven guilty. The NRL introduced the no fault policy which sees ­players charged with serious offences stood down ­before the matter has proceeded to court, in light of several players facing criminal charges over the off season. 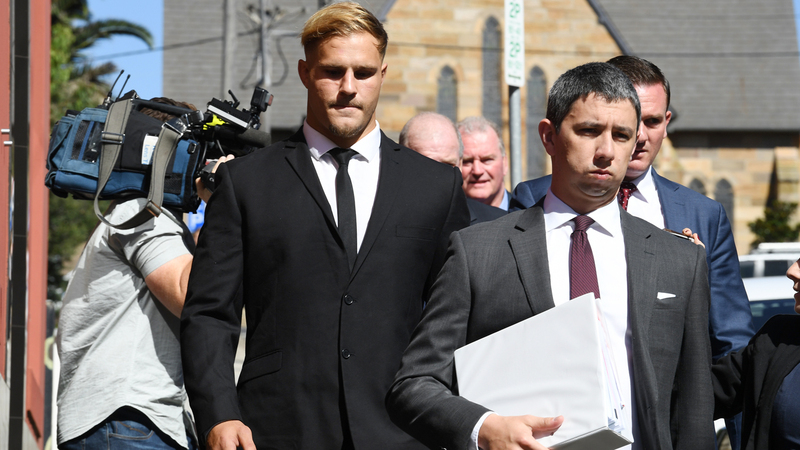 Stewart told News Corp, he was baffled’’ by the new rule in relation to the Dragons’ Jack de Belin, with the former Manly fullback admitting the case brings back bad memories relating to criminal charges he faced a decade ago, of which he was proven innocent by jury. Stewart said he was “heartbroken” at being stood down from playing ­before 2009 sexual assault ­allegations leveled against him reached court. “The last time I checked it was innocent until proven guilty,” Stewart said. “I have been there,” he said. “I can’t speak on anyone’s ­behalf — or on Jack de Belin’s behalf — but I can speak from what I went through. “How the NRL thinks they can do that … this is me talking … it baffles me. “No one really knows what has happened. My thinking would be to let the accused go through court and let them then find out whether he is guilty or not. How can you penalise him before he has been to court? “He will be trialled twice. You’d think they would have learned a few things from my case. From the outside looking in, it doesn’t seem like they have. “I don’t know what it’s going to take before they put the player first. Stewart was suspended for four games before the case was heard in court. After a 10-day trial, the 12-member jury took less than two hours to exonerate the ex-Manly fullback, who retired in 2016. Considering how his case unfolded, Stewart said the NRL needed to approach the situation with more care for the player, especially since the impact of such allegations can last a lifetime. “I know it’s the least of my worries but those four games I was suspended, they can’t give you those games back. You can’t take it back. “And that’s not to mention what it’s done to my family. There will always be something burning inside me, for sure, but I will keep moving forward. People probably forget about it because I’m not around or they don’t see me like they used to but it’s part of my make-up now.